Shopping for the men in my life isn’t always easy. Especially my husband – he’s one of those people that are just so hard to read when it comes to gifts. I always try to find unique gifts for him that are not only fin to receive but also useful and relevant to his lifestyle. The crew over at District Sporting Goods knows guys like my husband and they’ve put together some really neat gift sets that are sure to please this holiday season! 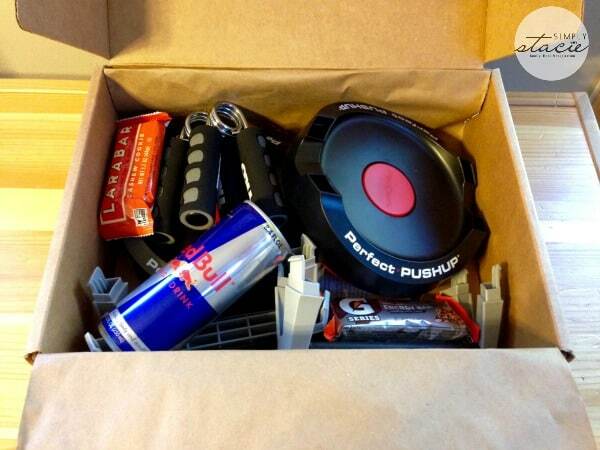 District Sporting Goods sent me their Fitness Kit for review. This is a great theme for my husband who is always looking for ways to incorporate exercise and eating right into his day. * Perfect Push Up – this is a really cool ball-bearing system that helps reduce joint strain and engages more muscles during workouts. I’ve actually been using these as well as part of my nightly workout routine and find them to be easy to use and make it much easier for me to actually do push ups (I’ve never been able to do proper push ups!). I like that they’re small but effective, proving that you don’t need huge gym equipment in your home to get a good workout. These are great regardless of your fitness level – from a push-up beginner like me to an Army-trained pro like my husband. 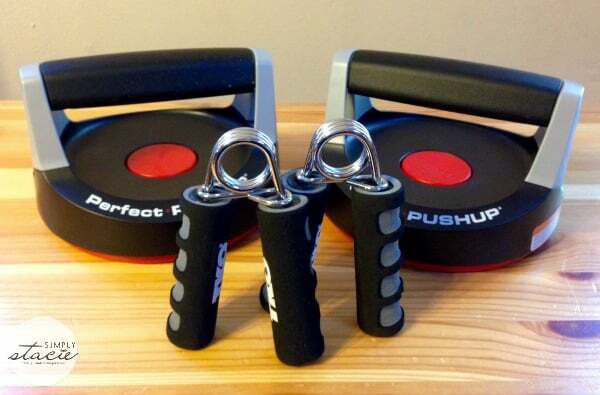 * Hand Grips – these are fitness classics. The foam handles are soft and these are great to thrown in your work bag to add some strength training to lunchtime walks or while sitting at your desk. * Gatorade Protein Bar – this bar has 39 grams of carbohydrates to promote muscle and liver glycogen restoration. We both liked the chocolate chip flavor of this bar. 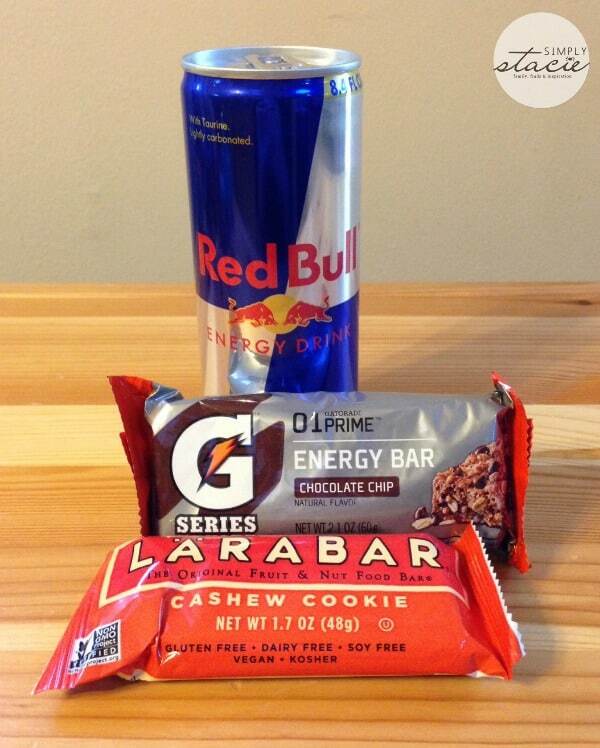 * Larabar Protein Bar – my husband and I have been eating Larabars for years now. They carry a great line of flavors and are gluten-free, non-GMO, Kosher, soy free, dairy free, and have no added sugars. I haven’t had a Larabar that I haven’t loved! I think this is a great addition to this kit. * Red Bull Energy Drink – this drink delivers on its promise to give you that extra boost you may need to get through your workout. I think this is a really fun gift for any fitness-minded man in your life – unique and fun with some yummy treats included. At $59.99, this kit comes ready to give (I don’t think any wrapping is needed!). 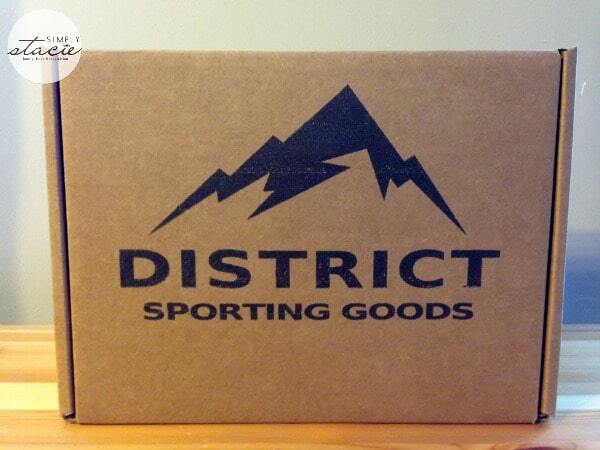 District Sporting Goods is a one stop shop for perfect gifts for outdoor enthusiasts. On their site you’ll find kits curated for the fisherman, the hunter and the fitness enthusiast, as well as kits themed for survivalists, the poker player, and the beef jerky lover. With kits starting at $29.99, there’s a gift for every budget. To see all the neat stuff District Sporting Goods puts in their gift sets, check out their website. While you’re there, be sure to sign up for their newsletter. I like the Survival Gear Kit as well. I would love to have the Survival Gear Kit. I like the hunting gear kit. I think the fitness kit featured in this review would be the most useful product for me. My favorite is the Poker set. Fitness- we are a running family! This kit looks so awesome. I’m definitely going to be checking out their website and seeing what other kits they have as well. The beef jerky deluxe kit would be a hit in my household! My favourite product is the “Perfect Push Up” since it’ll allow me to stay fit without putting too much strain on my joints! I like the Poker Set. I like the Survival Gear kit the most. My favorite would have to be the beef jerky. I like their Survival Gear Kit. My husband would love it. what a fun giveaway …and something different…for men. Not many giveaways for them! The Fishing Gear Kit is my favorite product. Thanks for the giveaway… I like the Survival Gear Kit; great to have on a hike, or to just keep in your car. I like the Beef Jerky Deluxe.